St. Kitts, the larger part of the two-island nation of St. Kitts and Nevis, is a magnificent destination on select Caribbean cruise itineraries. The beautiful port of Basseterre, the capital of the country, is one of the most historic towns in the Caribbean and the center of most activities on St. Kitts. The rest of the island, including its wild and uninhabited volcanic interior, the UNESCO World Heritage-listed Brimstone Hill Fortress National Park and many beautiful beaches, all add immeasurably to its appeal. The following 10 activities are highlights of the countless potential enticements that can be found in St. Kitts. From zip lining to ATVs, energetic activities abound on St. Kitts. 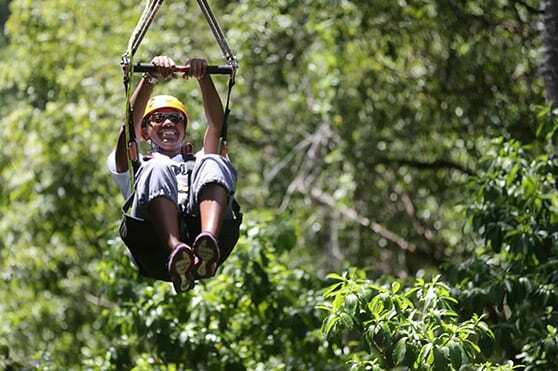 If you’ve always wanted to go zip lining, Sky Safari Zip Lining is the perfect introduction. A thrilling course of four zip lines are set among the lush, forested valleys and stream-carved crevasses of the historic Wingfield Estate. From this vantage point, you’ll take in views of Brimstone Hill, Mount Liamuiga and the distant Caribbean Sea, but keep an eye on the treetops too, for glimpses of monkeys and tropical birds. 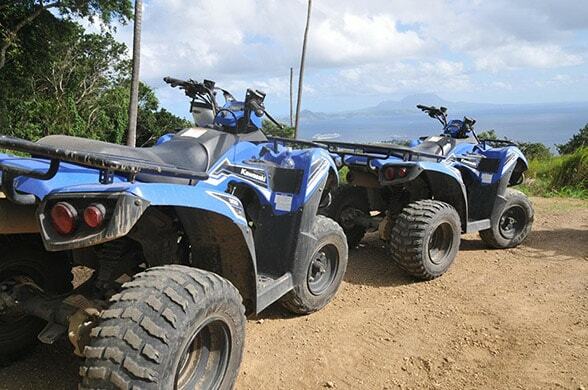 If you prefer to explore the rugged side of the island on four wheels, opt for an ATV adventure. Take on an excitingly bumpy, dusty ride through the backcountry. 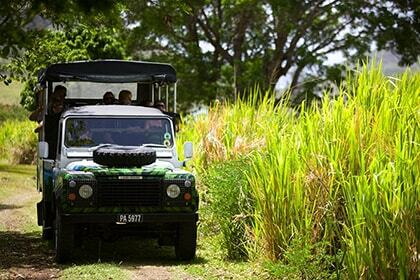 Rev your engine and follow your guide through old sugarcane fields and up rough mountain trails. 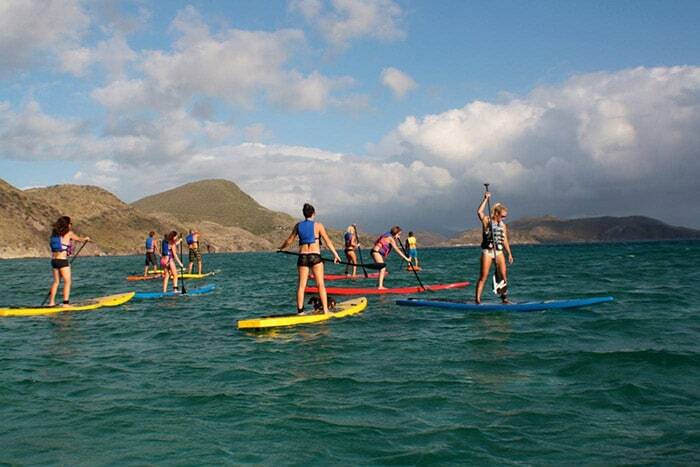 For a more serene version of an active activity, take to the water on a stand up paddleboarding adventure. Balance on your paddleboard and slowly ply your way around the calm, turquoise waters of Friars Bay and down the coast, stopping to snorkel and explore hidden caves and coves along the way. You might even be greeted by local stingrays and sea turtles at the end of the tour. St. Kitts’ natural beauty is undeniable to all who visit its beaches, towns and countryside, but there’s a whole lot more to see hidden beneath the surface of its balmy blue waters. The Snuba Adventure and Beach Getaway offers the unforgettable experience of diving without the need to be scuba-certified. Your Snuba gear makes it easy, safe and enjoyable to stay underwater, watch colorful fish flit about the coral and look out for stingrays and seahorses. The excursion also features a scenic driving tour and time to relax on the sand at an exclusive beach club. 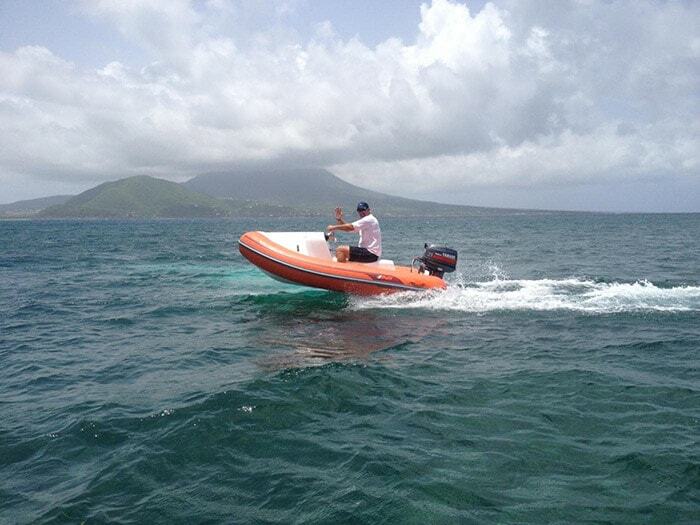 Another option for admiring St. Kitts’ underwater world is the Mini Speedboat and Snorkeling Adventure. You’ll start by driving your own two-person speedboat as fast as you dare, taking in the scenic coastline on the way to a top-notch snorkel site. Here, the calm, clear waters reveal a vibrant coral reef teeming with tropical fish and other fascinating marine creatures. If you love sea life, don’t miss the once-in-a-lifetime opportunity for a dolphin swim at St. Kitts’ Dolphin Discovery Park. Learn all about these intelligent mammals before taking to the water to swim and play with a friendly dolphin. 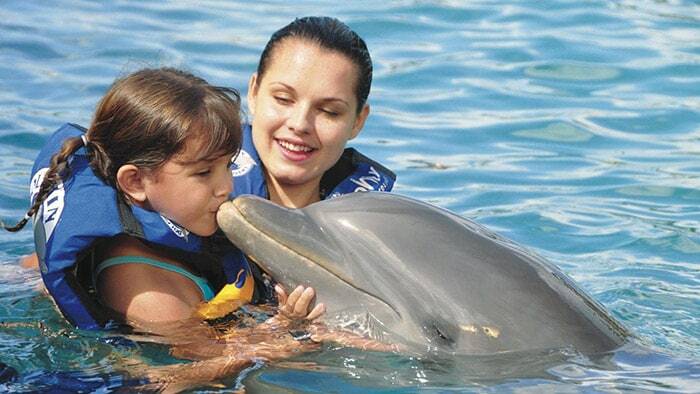 You’ll also see dolphins leap, dance and interact with trainers and guests alike. Take a family cruise to St. Kitts, and you’ll find no shortage of fun things to do together. 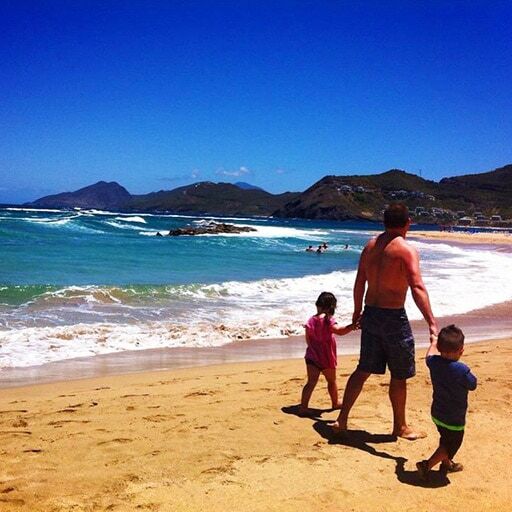 Create lifelong memories with excursions suitable for all ages, including a beach extravaganza. After a scenic drive across St. Kitts that offers views of both the Atlantic Ocean and Caribbean Sea, you’re in for a day of old-fashioned family fun at the beach. Swim, stroll, play games, rent snorkels, relax on beach chairs and enjoy cool drinks at the beachfront bar and grill. For families with children ages 4 and up, the 4×4 Island Safari and Beach adds some island exploration to your beach day. You’ll go off-roading in a 4×4 vehicle with an experienced guide who will take you to tiny villages, into the rainforest and up mountain trails to a private estate with panoramic views over the whole island. Then continue to a golden sand beach for more fun in the sun. Classic sightseeing tours are the best way to take in the most interesting spots on the island. Among them are natural treasures, scenic landmarks and historic sites, all with the benefit of expert tour guides. 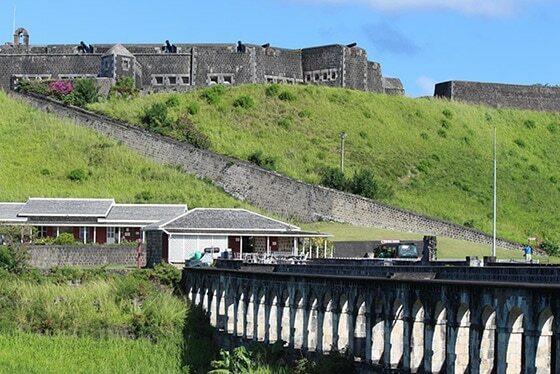 The Best of St. Kitts tour takes you to all the island’s highlights, including Brimstone Hill Fortress National Park, two 17th-century churches, the Timothy Hill lookout and Palm Court Gardens. The St. Kitts by Rail and Sail tour puts a twist on traditional sightseeing. It comprises a two-hour ride on the St. Kitts Railway and a 90-minute catamaran sail along the southwest coast of the island. Double-decker rail cars feature an open-air observation deck and air-conditioned lower level with panoramic windows, through which you will take in views of sugarcane fields and secluded villages. 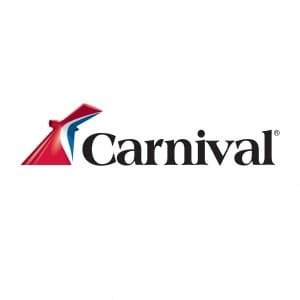 Enjoy refreshments onboard along with scenic coastline vistas. Travel to St. Kitts on a cruise vacation and uncover all the treasures that make the island one of the finest ports of call in the Caribbean. Whether it’s a romantic vacation or a getaway with family and friends, St. Kitts promises ample enticements for all.